If you want special training as a mechanic or installer of equipment needed for heating, ventilation, air conditioning, or refrigeration, you will need to either find a formal apprenticeship or attend school to become certified in the trade. The machinery used for these purposes is becoming more sophisticated, relying increasingly on electronic regulation, and that is particularly true in the higher-paying jobs found in the HVAC (heating, ventilation, and air conditioning) departments of large facilities like stadiums and office buildings. You’ll need to familiarize yourself with electrical devices and motors, know how to read a schematic, and be capable of troubleshooting complex systems. The occupational outlook in this profession is excellent, as employment opportunities are expected to grow rapidly in the foreseeable future. The Anthony M. Burtzel Memorial Scholarship gives as much as $1,500 to a second year student who has a GPA of 3.5. The Roger and Hazel Perkins Memorial Scholarship brings a maximum of $2,500, and requires a 3.0 GPA. The Chris Rowe Scholarship (sponsored by Thor Construction) and the Laudy E. Ribar HVAC & HEAT Scholarship pay up to $1,000, and a GPA of 2.5 is necessary to apply. The Edward J. Cwiklo Technical Scholarship is intended for a technical major taking between six and 11 credit hours. With your application, you must submit a reference letter from a faculty member and an essay on your qualifications for the award. The Michael Escue Memorial Fund is for technology students who receive in-district tuition rates. You must fill out a FAFSA, but the financial need determination for the Escue award is less strict than that used by the federal government. The Grainger Tools for Tomorrow Scholarship is for students in the industrial trades who have at least a 3.0 GPA and are in the second year of study. You must provide a reference letter, essay, and list of extracurricular activities. The Russell & Betty Bridgens Memorial Scholarship, which is renewable, supports HVAC students who specialize in plumbing. The HVAC Program Scholarship goes to a full-time student who has finished at least 15 credit hours in major courses with a 3.0 GPA. The Montour Oil Service Co.-D. Richard Thomas Memorial Scholarship is given to those who are eligible for financial aid and have at least a 2.0 GPA upon first receiving the award. Continuing students with at least a 2.5 are preferred in renewal requests. The Dwight E. Stoltzfus Memorial Trade Scholarship is reserved for students who belong to the First Assembly of God Hamburg and can provide a character reference. The A.O. Smith Water Heaters and American Standard Scholarships go to full-time students who belong to an industry group called Plumbing Heating and Cooling Contractors, which has chapters all over the country. The AHRI Scholarship goes to a student who shows academic aptitude. Applicants must provide two reference letters and a personal statement. The Hedrick Associates Endowed Scholarship and the Karl E. Huffman Family Scholarship Endowment are usually awarded to freshmen, in an effort to attract students to Ferris. The American Society of Heating, Refrigerating and Air Conditioning Engineers (ASHRAE) is a professional group that provides scholarship aid to aspiring HVAC technicians. To be eligible, you must have at least a 3.0 GPA or be in the top 30% of your class. 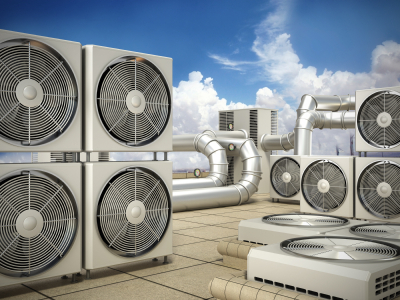 You must attend an institution approved by ASHRAE full-time, taking an engineering curriculum designed to prepare you for specialized HVAC training. There are two $10,000 scholarships, the Willis H. Carrier Scholarship (an annual award) and the Reuben Trane Scholarship, which pays $5,000 a year for two years. There are four scholarships that bring $5,000 per year, the Frank M. Coda, Lynn G. Bellenger, ASHRAE Memorial, and ASHRAE General Scholarships. The Bellenger award is reserved for women. There are three $3,000 scholarships awarded annually, the Alwin B. Newton, Duane Hanson, and Henry Adams Scholarships. The National Association of Oil and Energy Service Professionals partners with various companies like Honeywell and R.E. Michel to provide assistance in the form of scholarships to HVAC students. The Dave Nelsen Scholarships program distributes as many $5,000 awards as funding permits each year, most recently four of them.